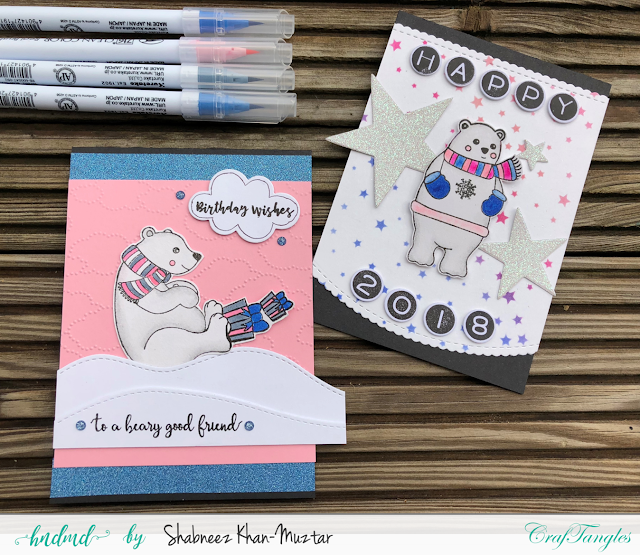 I suspect you are all busy celebrating 2018 and to begin the New Year I have a couple of cards to share made using the CrafTangles Bearing Gifts stamp set to show how versatile it can be for those projects you need to make throughout winter. As it's New Year's Day it seems most appropriate to use begin with my New Year card! 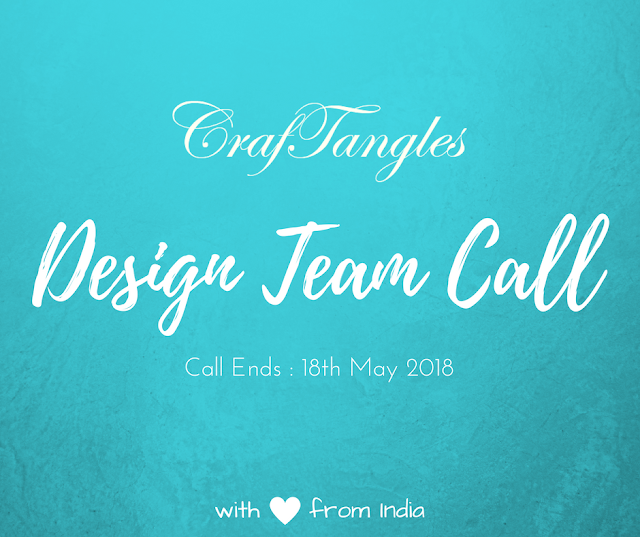 I have to admit to loving the background I created on this one - I simply used 3 co-ordinating colours of Distress Inks through the wonderful CrafTangles Starry BG stencil. For the lettering and borders I used Lawn Fawn dies and stamps. 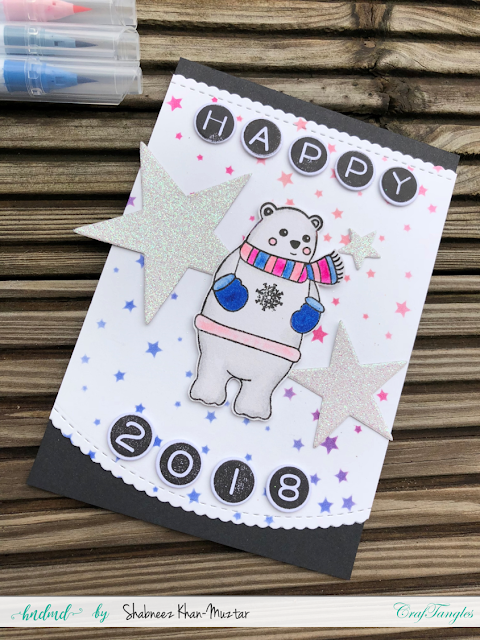 I stamped the bear image and coloured in with my Zig Clean Color Brush pens adding some glitter stars as I do love a bit of bling! My second card I made with a friend in mind whose birthday happens to be today so she gets a double celebration! The images from the stamp set are so cute and I decided to use this one for a birthday card. It shows how the stamp set doesn't have to be used for Christmas as both the images and sentiments lend themselves to so well to winter themed cards. I coloured and cut out the image again adding it to die cut stitched hills with the sentiment. I used a cloud embossing folder for the background on pink card. 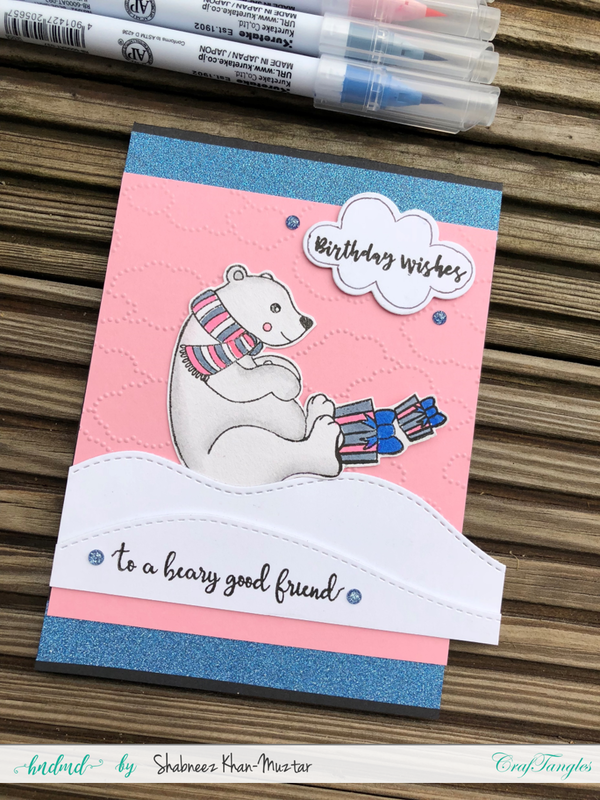 The Birthday Wishes is from the Everyday Sentiments CrafTangles set. and I added it to a die cut cloud which I drew around. 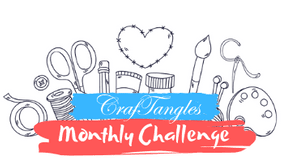 To embellish I simply added some glitter gems and washi tape. Please do share some love as I love reading your comments. All that remains is for me to wish you a happy, healthy, peaceful and successful New Year! Oh my !! I love this bear so much !! Thank you so much - he is such a cutie isn't he? !